"The packaging and service was excellent. Size (inches): 2.17" X 1.57" X 4.13"
Take 1 capsule 3 times per daily with a glass of water. 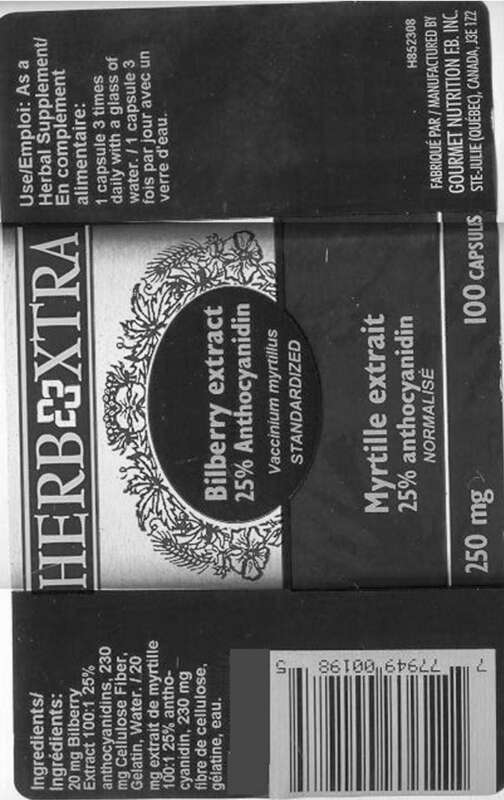 Equivalent to 2000 mg of Bilberry Leaf, from 20 mg of 100:1 extract. Herb-Xtra is committed to the manufacture of high quality, standardized and guaranteed natural health products and supplements. The packaging and service was excellent. I am still finishing my existing supply before starting these. Also Recommended: Green Canyon provides an excellent service which is important when 3000 miles separates us! I like your website and the new way you are charging for postage -- although it is more expensive than the old days when postage used to be free -- the way now is a very fair way.